‘The Story of Kaveri’, a short film directed by ace ad film director K.M. 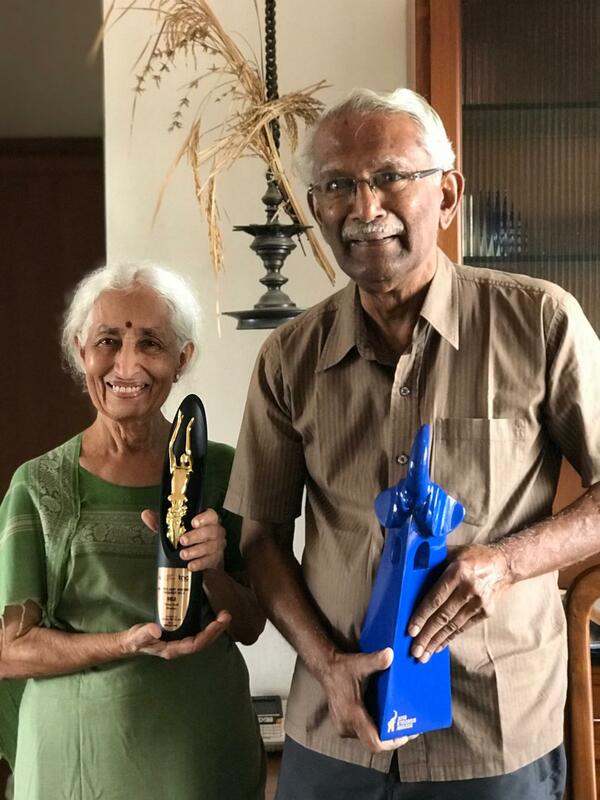 Ayappa, in which Nanjamma Chinnappa (in picture with her husband Boverianda Chinnappa) played the role of Kaveri, has won many international and national awards. Speaking to this reporter, Nanjamma said: ‘The Story of Kaveri’, a symbolic, creative, short film (3 minutes), was distilled from 3 days of shooting in Hogenakkal (Karnataka) and Namakkal (Tamilnadu) in May 2017. Besides essaying the role of Kaveri, Nanjamma also narrated the script. It was conceived by Vinod Eshwer who wrote the script and was the creative director. It was produced by Anand Menon. It was done in Kodava thakk, Kannada and Tamil – languages of the lands that Kaveri flows through.